Body care : Personal care products | IBE TECHNO CO.,LTD. 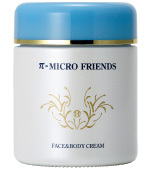 π-MICRO body care products will be good partners in and after your bathing. Users with sensitive skin can enjoy their non-stimulus touches. Please experience the soft and comfortable feeling for all members in your family. Natural based botanical washing ingredients are gentle to the skin. Creamy fine foam will catch and wash off dirt and sebum well. 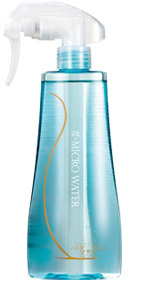 Extracts of plants and natural silk ingredient give moisture to the skin and protect from dryness. Push several times for getting appropriate amount on towel/sponge containing warm water to make foam well and wash body gently, then rinse well. The good penetration of π-water gives enough amount of water to the whole body and keeps the skin fresh. It balances moisture contents. It is in the regular used items for the sensitive skin. Spray all over the body after taking bath and shower. 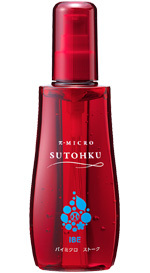 Makes smooth and supple skin. It keeps moisture well. It is usable for body massage. No oil ingredients contained, so it will not be sticky. Light touch cream. Natural moisturizing ingredients will keep smooth and soft skin. It can be used for the whole body. Take appropriate amount and spread gently until the cream shall penetrate into the skin.